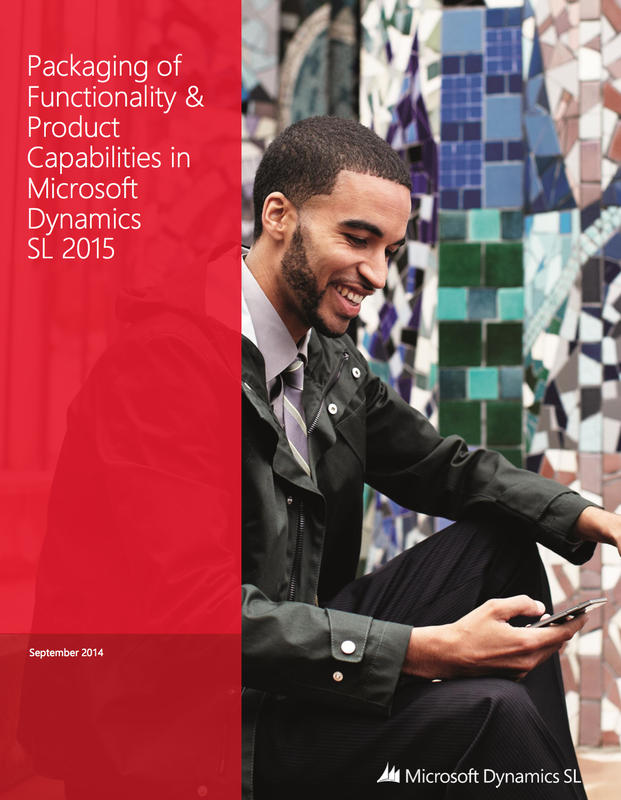 Download the Microsoft Dynamics SL brochure today! For an overview of the product modules available within Microsoft Dynamics SL, download the MS Dynamics SL Capabilities Guide. For more than 25 years, Microsoft Dynamics SL has delivered the functionality, performance, and ease of use that powers small and mid-size businesses around the world. From financials and project management to distribution and services, Microsoft Dynamics SL brings people and systems together to support your goals and help you run your business more efficiently. Comprehensive out-of-the-box capabilities and rapid, flexible deployment options help you get up and running quickly and affordably. As Microsoft Partners, The ERP Group, LLC provides deep local and technical knowledge of specific industry requirements to help ensure that Dynamics SL is configured as the best ERP solution for your business. With Dynamics SL, you have access to powerful project and financial management capabilities designed to meet the unique needs of project-driven organizations. The ERP Group, LLC builds on this platform to meet industry-specific requirements, such as those in Construction, Professional Services and Government Contracting. Whether you are considering Microsoft Dynamics SL as your organization’s new business management solution, or are an existing customer looking to expand your solution with additional modules, The ERP Group, LLC provides professional expertise grounded in rock-solid business experience.